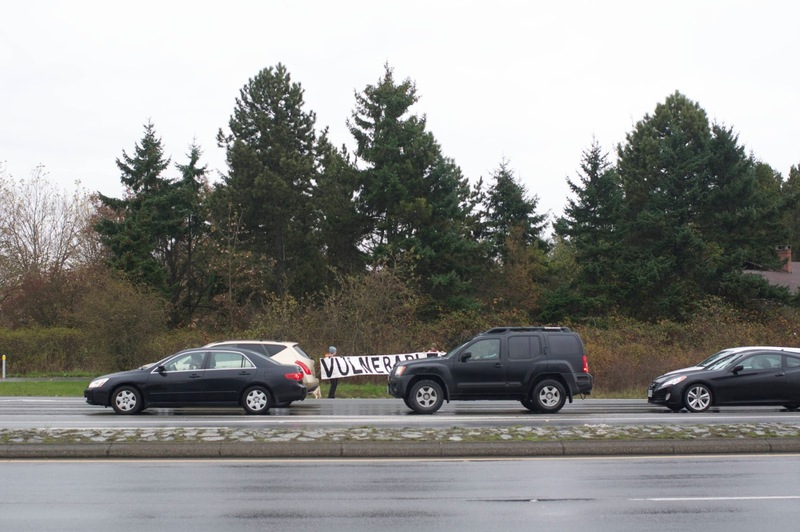 Cars driving by during the November 2012 vigil. We're still all in this together. And I'm still doing monthly Vulnerability Vigils.